Soft Gluten-free, Dairy-free White Rolls | The Free From Fairy. Last week I had four children to feed. Each of my children had a friend to play after school and the house was filled with peels of girly laughter and muddy boys! I had decided to make beanburgers for tea using my tried and tested recipe and we had bought some gluten-free rolls to have them in. However, when I looked at the rolls, they looked rather large for small children and I knew there would be waste (I hate waste!!). 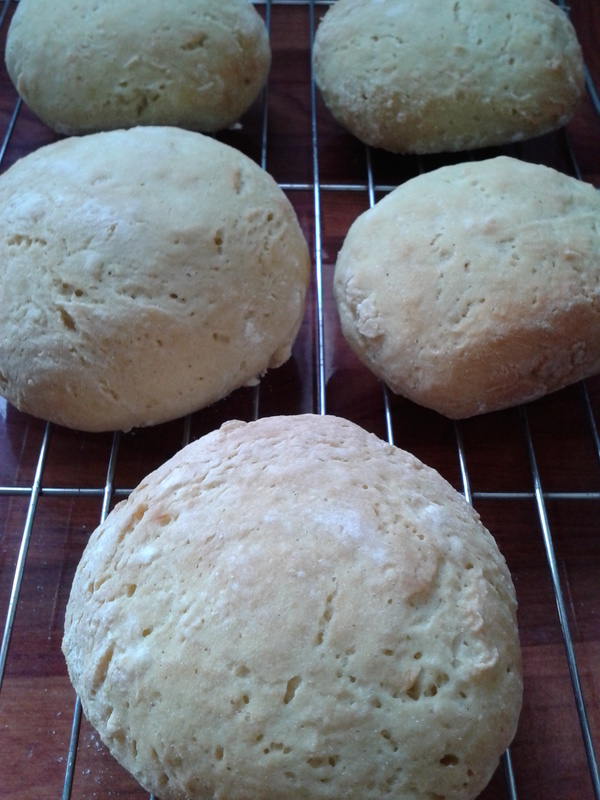 So, as the kids were playing so beautifully, I picked up a cookbook and decided to try a recipe for soft white rolls. The cookbook was ‘The Gluten-free Cookbook – What to eat and what to cook on a gluten-free diet‘ by Heather Whinney, Jane Lawrie and Fiona Hunter. I am seriously impressed by this book. My husband’s Aunt found it in Costco some time ago and I ‘borrowed’ it from her…so far not giving it back! I can really recommend it as all the recipes I have made in it have been successful, although I have to admit I haven’t followed any of the recipes properly! Place the dry ingredients in a large bowl and mix well. Place the 250ml milk, honey and oil in a heatproof bowl and microwave for 1 minute, alternatively heat in a pan until warm. Add the egg to the liquid mix and beat to combine. Pour the wet ingredients into the dry ingredients and mix to form a dough. If it is too dry add a drop more warmed milk. Divide the mixture into the number of rolls you require. I made 9 quite small rolls by rolling the dough into 9 balls. Place on a floured baking tray, or two and lightly press down on them to make them flatter. Cover with oiled clingfilm or a clean damp tea towel and place in a warm environment for an hour, or until doubled in size. Brush the rolls with dairy-free milk and dust with flour before baking them in a pre-heated oven at 200 degrees for 15-20 minutes. Excellent! Let me know how you get on. I used to use egg replacer and it always seemed to work ok. Luckily my daughter grew out of that allergy although she hates anything made with egg (apart from sweet things of course!). Oh do, and let me know how you get on! I’ll have to recommend this book to my friend who has a 2 year old coeliac daughter, who has just been diagnosed. She’s on the lookout for inspiration…. Great! Do let me know how you get on…they are very easy! I am on the FODMAP diet and cannot have honey. What could I use as a suitable substitute? Would there be a flour blend that I could use instead of the self-rising flour? Hi there, I’m not sure what you mean because this recipe uses plain flour? 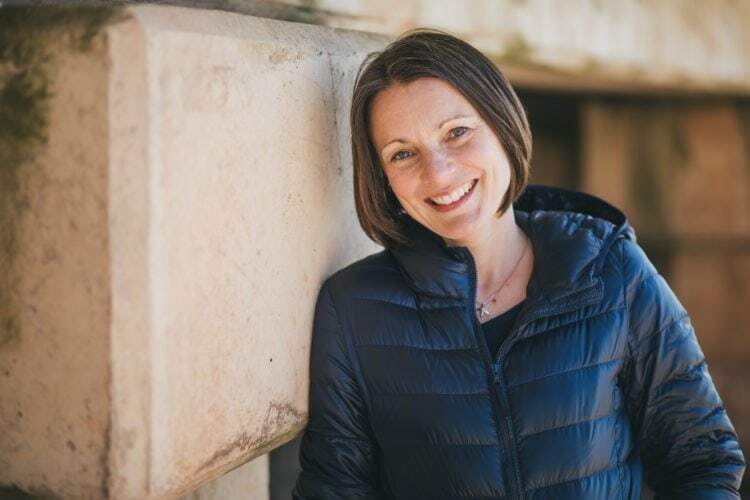 Iam so glad I ran into your blog while on my hunt for perfect gluten free recipes. I had an attempt at making these using Dove farm “white bread flour” and had couple of issues with them. They turned out very crusty from the outside and very dense and heavy from the inside. they tasted really well tho! But no where near a fluffy bun..
Hi Nora, thanks for your comment. The Doves plain flour and bread flour are quite different which is why you wouldn’t have got the result that I did. For example the bread flour includes xanthan (and therefore you wouldn’t want to add more) whereas the plain flour doesn’t. It’s always important with gluten free baking to use the exact flour (and brand if possible) specified in the recipe because the blends are all so different. Glad they tasted nice though! Thanks for getting back to me. I didn’t use any xanthan gum because I knew the flour I used had some already. But every time I attemp to do any bread recipe from different other websites or even books I end up with a very crusty and heavy bread. Could it be my oven (fan ) or yeast as I use the “Allinson dried active yeast”. I have no trouble backing all sorts of cakes and biscuets, but it’s the bread that I canot get right..
OK…this helps a bit. The yeast I always use in the Easy Bake Allison yeast…you can add it directly to the ingredients without needing to pre mix it. The dried active yeast needs adding to warm water and activating before adding to the ingredients. Perhaps you do that but if not that may help. The flour is also super important. Baking with the white refined starch blends is pretty hit and miss. That’s why I created my own flour blend. However, it may be your expectations? Gluten free bread is much more dense than gluten containing. I hope this helps? Yes, I wasn’t activating the yeast, and instead adding it directly to the dry flour. I will also give your flour blend a try once I get my hands on one. Many thanks for the tips!! Hi how many rolls does this recipe make? Hoping to bake with my class of 30. Is there anything I could replace the egg or yeast with? Have multiple intolerances to cater for and this is the closet recipe I’ve found. I made 9 quite small rolls with this amount of mix. As for replacing the egg…I’m not sure it will work (I haven’t tried it) but you could try using flax egg…1 tbsp ground flax seeds with 3 tbsp water mixed and left to create a gel before adding as an egg. Please let me know how you get on, I’d love to hear! 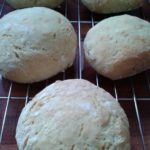 Hi Vicki do you have a recipe using your own flour for rolls I can’t seem to find one and am loving your bread flour and recipe already after receiving it last week! I took my bread into my nutrition course for the ladies to taste they were all very impressed! Hi Clarissa, that’s great news! It’s funny you should ask because I don’t think I have published one and realised that the other day. You could try my hot cross buns recipe..https://freefromfairy.com/free-hot-cross-buns-gluten-free-dairy-free-refined-sugar-free/ without the rice syrup and spices etc. It’s lovely and soft (just made it). But does use potato starch as well as my flour to make a more squidgy bun!